Unexploded Ordnance [UXO] risk management specialists, Fellows International Limited, offered immediate assistance to a West Sussex construction site when a World War II [WWII] aerial bomb was unearthed on 23rd October 2017. The bomb was discovered at a depth of approximately 1.5 metres, when an excavator unearthed the casing during initial development works. The bomb was identified by a Fellows UXO Engineer as a SD500 (1000lb) German bomb. The Fellows Engineer was working at a nearby site when he was alerted of the bomb-find. During his initial investigation, the Engineer recognised that the bomb was in fact empty of explosives and had been defused (assumedly during WWII). The site had been used during WWII as a disposal airfield for allied and German aircraft damaged in action therefore remaining weapons and munitions were often buried around the site. It is likely that the bomb was removed from a crashed German aircraft, then buried after being rendered safe. The Fellows Engineer adopted a calm and experienced approach to this bomb-find, offering initial safety advice to site management. Without the professionalism and experience of the Fellows UXO Engineer, the bomb would have been assumed to be dangerous and the site evacuated therefore his actions saved the construction company thousands of pounds in lost time. Additionally, the emergency services and military bomb disposal teams were not required due to the swift and accurate identification of the bomb. 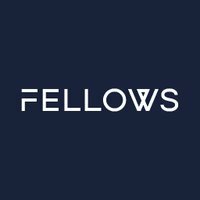 Fellows International Limited pride themselves on offering a realistic and pragmatic risk management service to clients in the construction and maritime areas. Please do not hesitate to contact our experienced and helpful team to discuss UXO risk at your site.